Feed dull hair with The Body Shop Strawberry Clearly Glossing Shampoo. Enriched with mouth-watering Italian Strawberries, the silicone-free, 100% vegan formula adds shine and helps detangle for soft, sweet-smelling locks all day long. 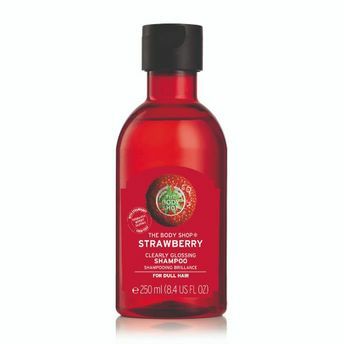 Alternatively, you can also find many more products from the The Body Shop Strawberry Clearly Glossing Shampoo range.